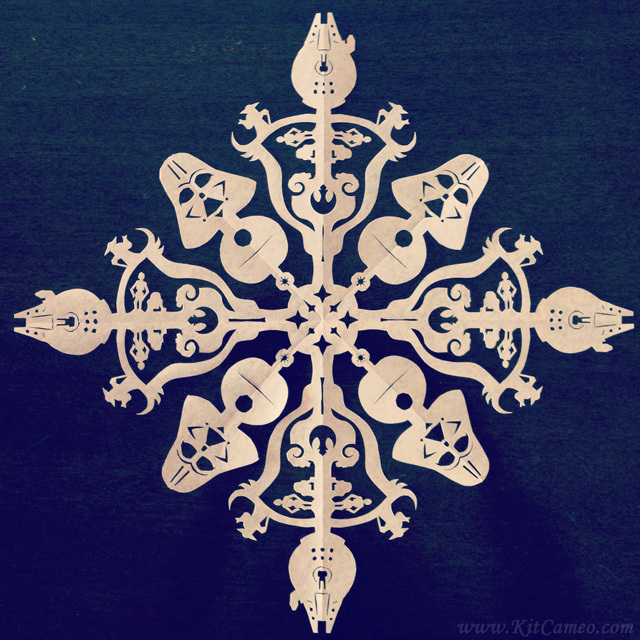 Paper snowflakes. Pretty, easy to make, and almost NEVER come out looking this good! California based artist Kit Cameo created amazingly detailed themed snowflakes; from Alice in Wonderland to Star Wars and even more in between, each flake has a nearly hidden but clever details include. Want to own one? You can! Check out her Facebook page where they are being auctioned off.